Looking for the right solution for your data problem? WSG can design a tailored solution that addresses your organization’s unique data challenge. Improving efficiencies, building knowledge, and creating sustainable processes. Wiltech Systems Group’s data architects and experts have been instrumental in helping government agencies, corporations and non-profits improve efficiencies, build institutional knowledge and create sustainable data management processes. The following is a sampling of the solutions we’ve delivered to our clients. Centers for Medicare & Medicaid Services (CMS) strive to achieve the highest quality health care system possible for Americans through lower costs and improved health. Given the magnitude of its mission, delivering Medicare and Medicaid to 100 million Americans, a robust and effective data management system is critical to the CMS’ ability to carryout its role. Understanding CMS’ important mission, Wiltech Systems Group (WSG), as a subcontractor to several prime CMS contractors, has been an integral part of managing CMS structured and unstructured data assets. In fact, by implementing our repeatable project and data management processes, we were instrumental in helping CMS decrease SDLC data-related activity costs by 10 percent. In so doing, we collaborated with organizational leaders to develop the organization’s Enterprise Content Management (ECM) strategy and provide maintenance & operational support of its ECM infrastructure, ECM application development and integration efforts, as well as document/content management implementations. Our work has helped CMS successfully deploy and implement nationwide projects involving diverse data sources in multiple data centers. In addition, WSG data management solutions drastically improved data re-use and share-ability across the organization by implementing industry best practices and best-of-breed solutions. The Pension Benefit Guaranty Corporation (PBGC) protects the retirement incomes of more than 40 million American workers in more than 26,000 private sector benefit pension plans. As such, the government agency must maintain a modern data model system in order to safeguard America’s retirement funds. In 2012, WSG was subcontracted by Battle Resource Management, Inc. (BRMi) to lead an enterprise-wide modernization effort that integrated data artifacts from existing business needs and architectural analysis, the current data model repository, and PBGC data management methodology standards, as well as standard operating procedures (SOP) and guidelines. The PBGC Enterprise Data Model (EDM) consisted of over 700+ entities and 2700+ attributes representing metadata assets for approximately 10 PBGC business segments and 8+ supporting business applications. Faced with a financial audit, PBGC called on WSG’s Data Modeling team to mitigate findings, which cited a lack of standard data classifications and common data elements across its business segments. In so doing, WSG provided documentation, development, and maintenance support of the PBGC Enterprise Data Model (EDM) and the governance processes necessary to establish a baseline, address and mitigate audit findings as well as ensure future sustainability. Under WSG’s guidance, PBGC was also able to publish a sound and maintainable EDM framework, and successfully plan and fully implement ERwin v7 to v8 software deployment. The U.S. Citizenship and Immigration Services (USCIS) oversees lawful immigration to the United States. As such, the agency is a source of accurate and useful information to individuals seeking insight regarding U.S. citizenship and ensures the integrity of the U.S. immigration system. Employer to some 18,000 government employees and contractors in 250 offices across the world, USCIS has broad and complex data management needs. In 2011, WSG was subcontracted to help improve and streamline USCIS business processes and an automated system, Electronic Immigration System (ELIS), that supports electronic processing of immigration benefits. In doing so, WSG provided technical and management solutions for the development and implementation of IT products and services in compliance with the USCIS Enterprise Architecture, as well as DHS Enterprise Architecture policies, procedures, guidelines, and directives. Our approach enabled USCIS to publish a sound baseline for verifying the incorporation of mission-critical data assets into the USCIS Transformation Program data reference model as well as a sound and maintainable Enterprise Data Model framework. Pragmatic Solutions, Inc. is a software solution provider offering an innovative suite of tools specifically designed for professional responsible for data asset analysis across heterogeneous information technology platforms and system applications. The web-based metadata repository helps to quickly and easily identify Who, What, Where and When information is distributed across the enterprise. Since the initial software tool launch of the SYSPEDIA © product line in 2005, WSG has partnered with Pragmatic Solutions to provide beta-testing software support (IV&V), on-site client training to facilitate early adoption of the product and recommended future software release enhancements to this flagship product suite. At Verizon, a global telecommunication leader, WSG partnered with Accenture, a leading management consulting, technology and outsourcing provider to provide best-of-breed data management support during Verizon’s entry into the long-distance telecommunication market. For well over five years, WSG provided data administration and architecture support for Verizon’s mission critical business billing systems – ExpressTRAK and National Business Billing Engine (NBBE). From managing the data administration team, administering the databases and data warehouses, creating the first web-based data management repository – AskBill, to developing the first database archiving strategy for these billing systems, WSG lead the effort to ensure billing accuracy for Verizon’s residential and business customer base. Ramblewood is a close-knit and vibrant community located in the town of Upper Marlboro, Maryland, approximately 30 miles east of the District of Columbia. It is the home of more than 289 Prince George’s County residents. Since 1987, the homeowner’s association (HOA) has been managed by a dedicated Board of Directors. For more than 14 years, WSG has been Ramblewood HOA’s preferred technology provider and advisor. Over the course of many years and collaborative efforts with the Board Members and their HOA management company, WSG has established the community’s first website which provides a forum for residents and board members to openly communicate. WSG is also responsible for establishing a photo identification system to assist the Board with managing access to its swimming pool facilities and ensuring the safety of its residents. To date, WSG continues to provide technical support for both the Ramblewood HOA website and facility identity access system. As the Washington metropolitan affiliate of the National Association of Female Executives (NAFE), the Greater Washington Women’s Network (GWWN) is a non-profit organization of diverse women working toward the advancement and promotion of its members through networking, education, and community service. Since 1999, WSG has been instrumental in the technology advancements of the organization and has served on the GWWN Board of Director in several board-level positions. Wiltech Systems Group was successful in establishing the organization’s first automated accounting and membership tracking systems. Wiltech has also provided interim web site maintenance services, facilitated monthly meetings and award ceremonies, and provided business-training sessions for its members. 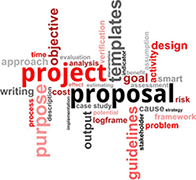 Feel free to submit your agency’s RFP, RFI or RFQ to WSG.